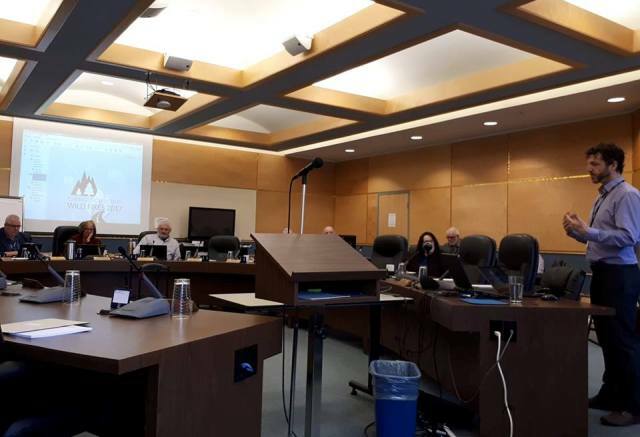 After 12 weeks of consultation meetings, surveys, and Facebook feedback throughout the Cariboo-Chilcotin last year the results of a wildfire consultation report were presented Friday at a Special Cariboo Regional District Board Meeting. “It was a lot of work and I’m happy that it’s done and that the region can now take this and move forward, and learn from this disaster and prepare for the next emergency,” says Tim Conrad, a consultant with Butterfly Effect Communications. A total of 75 recommendations in 40 areas resulted from the report that will be referred to the new Emergency Preparedness Committee according to CRD Chair Margo Wagner. “I’m going to chair it. There are lots of experienced directors that are on that Committee so we will work our way through,” she says. The Cariboo Regional District commissioned the report following 262 wildfires burning over 900,000 hectares during a 77-day long disaster from July 6 to September 20, 2017. During the consultations, over 53,000 pieces of data were collected, including verbal and written comments and survey answers.